I read this article and found it very interesting, thought it might be something for you. 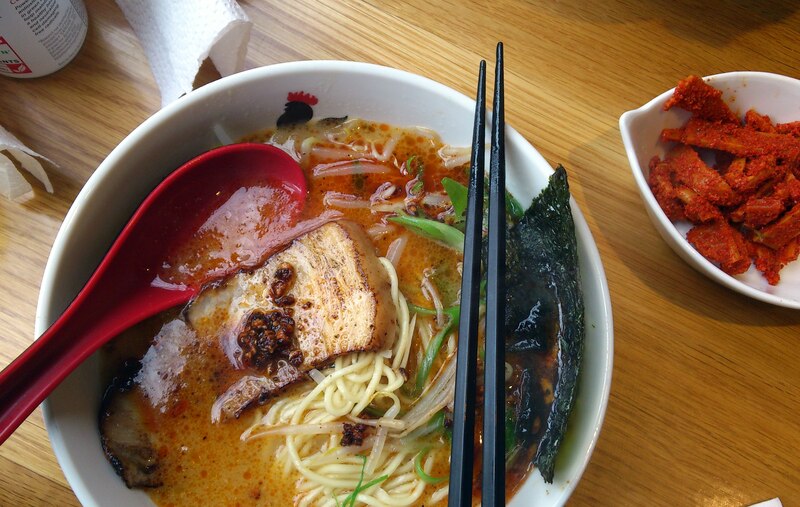 The article is called 7 Reasons to Go to Ginza Tanaka and is located at http://trip-n-travel.com/listicle/9312/. Nestled in the Tokyo Prefecture, Ginza is undoubtedly one of the most famous and luxurious shopping destinations in Japan. From opulent boutiques to upmarket restaurants and refined art galleries, Ginza is a definite must-see for shopaholics and curious travelers. Out of the many establishments in the city, Ginza Tanaka is one of the oldest and most respected suppliers of precious metals. Here are seven reasons you absolutely must visit Ginza Tanaka. When it comes to leadership and experience, there’s no doubt that Ginza Tanaka has it by the truck load. The company was first founded in 1892 by Kamekichi Yamazaki in Asuka, Tokyo as a retailer of accessories made of precious metals. Since then, the company has blossomed into the retail heavy-weight by integrating Japanese ingenuity with imported machinery and, of course, entrepreneurial genius. Fun fact? Under Kamekichi Yamazaki’s leadership, the company manufactured the first pocket watch in Japan (later purchased by Emperor Hirohito) and produced the commemorative medals for the 1964 Tokyo Olympics and the 1970 Osaka Exposition. 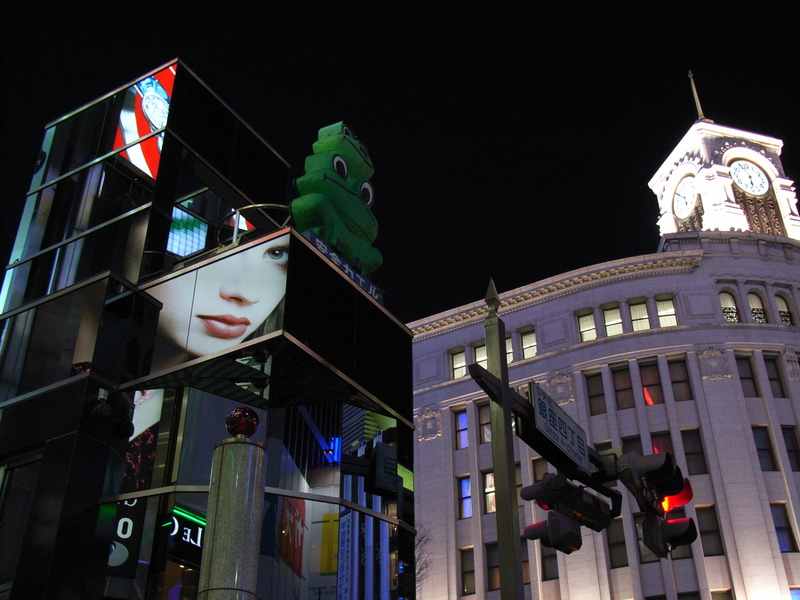 It wasn’t until the company’s 110th Anniversary that they renamed themselves Ginza Tanaka. 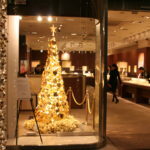 If you’re purchasing jewelry or any other kind of good from Ginza Tanaka, you can rest assured that you’re getting some of the highest quality goods that Japan has to offer. Among other things, Ginza Tanaka is well known for having a rigid standard for quality control. Once their jewelry and precious metals pass their internal quality assessments, they are then embossed with a quality guarantee stamp by the Bureau of Ministry of Finance or Tanaka Kikinzoku Jewelry K.K. Can anyone say bling bling? 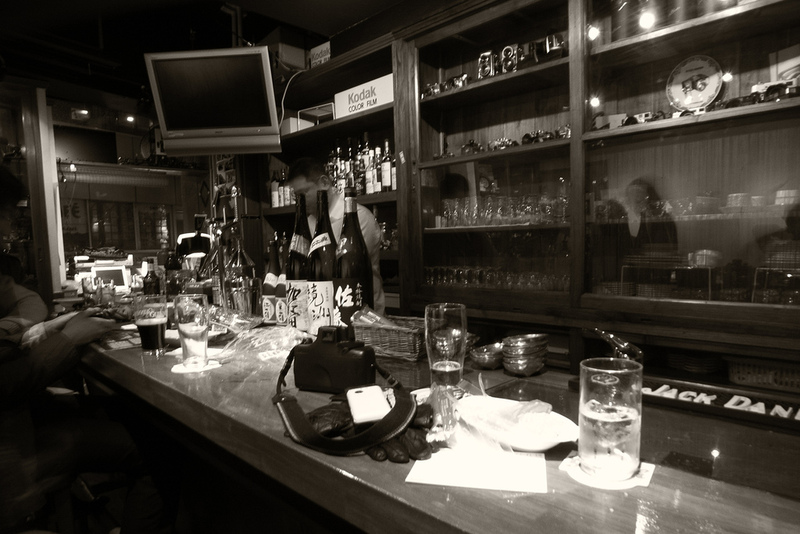 Looking for a fair price, Ginza Tanaka is where it’s at. The company uses two pricing methods with their products, ‘Fixed Pricing’ and ‘Sliding Pricing’. What’s fantastic and unique about the Sliding Pricing Method is that it uses the current price of gold and platinum in the market to determine the price of the product. Through the use of two pricing methods, Ginza Tanaka can make sure that every customer leaves the store happy and over the moon about their purchases. Let’s say you’re not looking for jewelry or watches. Let’s say you’re looking for bars of gold, platinum or silver. Ginza Tanaka’s got them! The gold and platinum are sold in one-kilo bars while silver is sold in 30-kilo bars, but the same Sliding Pricing Method we mentioned previously is used for all three precious metals. Not only does Ginza Tanaka sell precious metals, they buy it too! When selling gold, silver or platinum to Ginza Tanaka, you can be sure that you’re getting a fair price for your products because, just like their selling practices, they buy based on current market value prices as well. 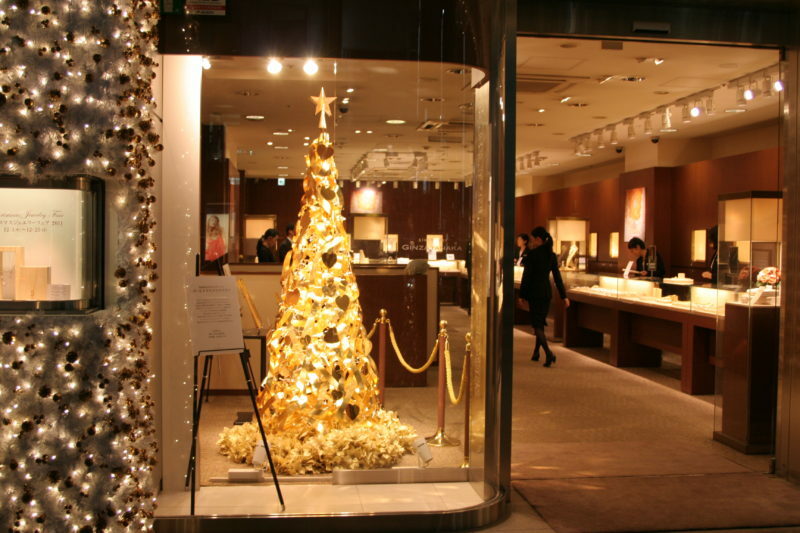 Apart from precious metals, Ginza Tanaka also purchases coins such as Vienna, Philharmonic, Gold Maple and more. It’s best to visit their website if you want to stay updated on current market values. With such a high standard for quality and over 115 years in the business, it’s no wonder that Ginza Tanaka is one of the most famous jewelry makers and sellers in Tokyo. From simple and elegant bracelets to gorgeous necklaces, patrons of Ginza Tanaka can take comfort in the fact that the perfect item is just one visit away. For the men out there, if you’re about ready to pop the question to your bridge to be, an engagement ring from Ginza Tanaka will knock your loved one right off her feet. Throughout a century of being in business, Ginza Tanaka has spread its wings and opened stores in several locations all over Japan like Shinjuku, Shinsaibashi, Nagoya and Sendai. However, the most iconic store of all will always be its Ginza location. The company first moved to the fashionable district of Ginza back in 1926 and we are quite sure that there it will forever stay. 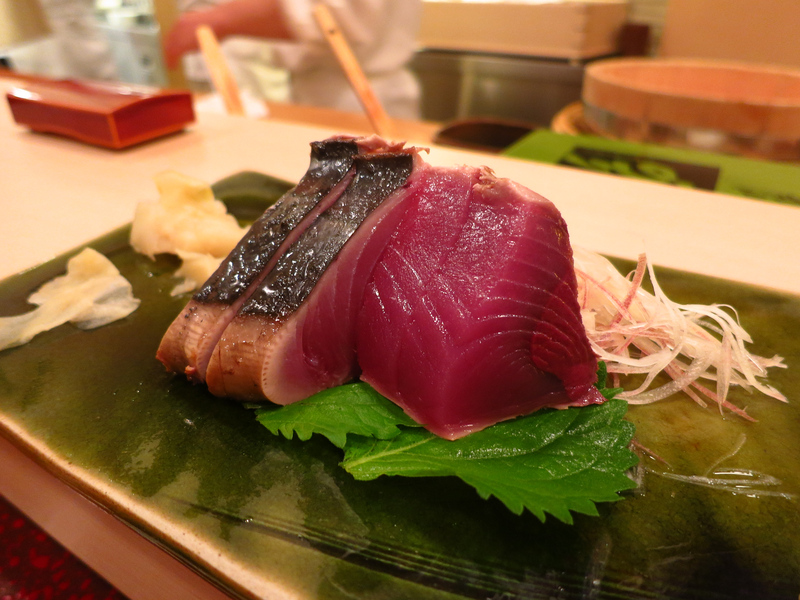 History, unique company practices, and a strict commitment to excellence are just some of the reasons that you should visit Ginza Tanaka. Not only does the company have strong ties to Ginza’s heritage and culture, but it’s also, at the end of the day, a fantastic place to do some high-end shopping.